Just one day before the Saremo Giovani festival kicks off, the Italian broadcaster RAI announced today that Laura Ciriaco and her song L’inizio are disqualified from the festival. 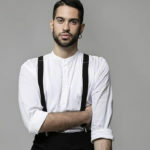 According to Rai’s official announcement , Sanremo Giovani competing act Laura Ciriaco with the song L’ inizio is disqualified from the festival. The reason of disqualification was the way to many similarities her entry had with the song I won’t give up, which is a song of American artist, Jason Mraz. This is something the violates the rules about an original song presentation. Laura’s song will be replaced by Federico Angelucci’s entry, L’Uomo che verrà. The competing part of the festival will take place on December 21-22 and the shows will be hosted by Pippo Baudo and Fabio Rovazzi. One act from each night will gain a spot in the Sanremo festival. 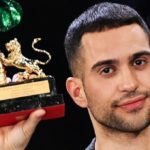 During one of the two evenings the rest 22 Sanremo 2019 contestants will be unveiled. The results will be determined 40% be a music committee with Claudio Baglioni being the jury’s leader, 30% by a experts committee with Luca Barbarossa leading this panel and 30% by public voting.